Bluline 19 OPEN is a 5.5m long Daily Cruiser motor boat equipped with an Outborder Evinrude 90HP. 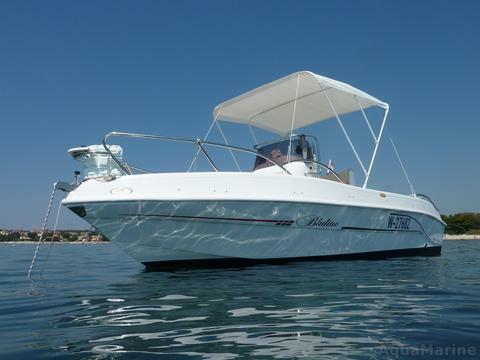 Bluline 21 OPEN is a daily cruiser for 8 persons located in Marina Veruda - Pula - Istria. 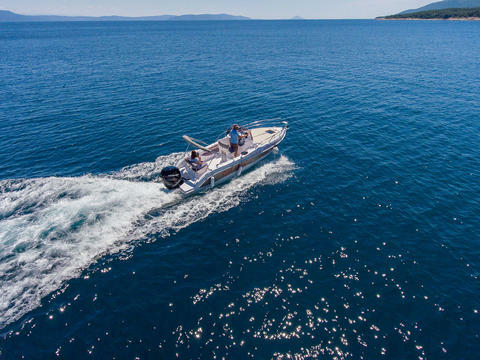 We can deliver boat in ports: Medulin, Rovinj, Poreč, Opatija, Rabac, etc. Bluline 23 Sundeck is a new 7m day cruiser equipped with new outborder Mercury Verado 250 HP Efi. Bimini top, cockpit speakers, radio with Bluetooth , HUMMINBIRD HELIX 5DI 5''chart plotter with GPS and Fish Finder Sonar with Adriatic maps.